Back when I played Metal Gear Solid: Peace Walker, I couldn’t help but think, “This is great, but it would be better built on the scale and budget of a PS3/PS4 title.” Well, let’s just say Metal Gear Solid V: The Phantom Pain is like Peace Walker turned Super Saiyan. Everything that was great in Peace Walker is there, and everything that was lacking was made better. While still not a perfect game, the depth and versatility of gameplay cements MGSV one of the greatest stealth games ever made. 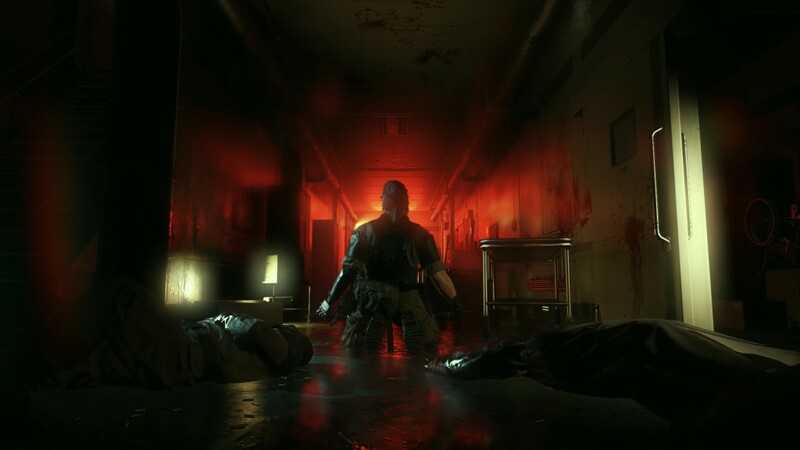 Following the events of Ground Zeroes, The Phantom Pain immediately begins with Big Boss awakening in a hospital from a nine-year coma, after the decimation of his mercenary group, Militaires Sans Frontières. 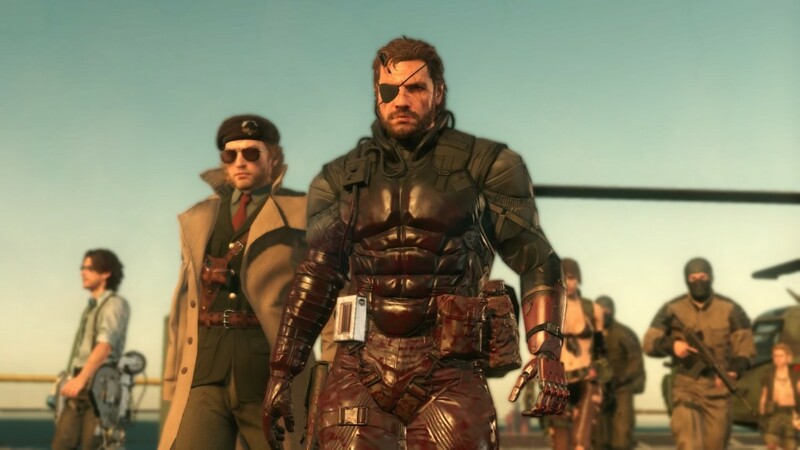 After reconnecting with passed associates, Ocelot and Kaz Miller, they lead a campaign to rebuild a new mercenary group, Diamond Dogs, to seek revenge on those responsible for the disaster nine years prior. 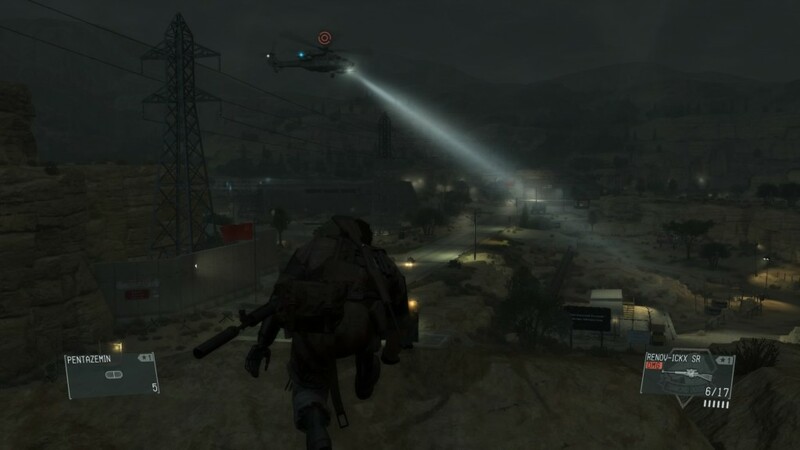 From here players will engage in true “tactical espionage operations” by navigating two massive open worlds set in Afghanistan and Southern Africa. From a pure gameplay standpoint, MGSV is spectacular with nothing else on the market quite like it, and easily the best in the Metal Gear series. The depth to gameplay is so great that I don’t know how to possibly cover everything. For the first time in a Metal Gear game, players can traverse an open-world environment. From here players will discover outposts scattered throughout the world for infiltration. The possibilities are endless due to vast array of weapons, gadgets, vehicles, and four buddies with different advantages that can be used together to complete missions in ways only limited by your creativity. The key to this formula is the lack of specific objectives given to the player during each mission. Instead of placing restrictions, the game explains what generally needs to be done, and allows the player to complete the mission however they set fit. There are side objectives for each mission, but they are left blank until you finish the mission or discover them on your own. This encourages exploration and adds replay value because you may not have the gear to accomplish such objectives the first time. Any game could fall apart with weak enemy AI, but MGSV boasts some of the best AI I’ve seen in a game. Guards will adapt to specific playstyles. If you often tackle missions at night, guards will wear night vision goggles. Perhaps you like to snipe targets from a distance; enemies will station snipers of their own. Guards react to you in many, many ways. One example of enemy behavior involved a time when I discreetly Fulton recovered a guard’s truck while he was away. Confused at why his truck was gone he asked another guard about what happened. The other guard said something along the lines of “Somebody probably needed it to go somewhere.” The amount of little details regarding soldier behavior is too plentiful to list them all. Much of the fun in MGSV comes from the unexpected. Opportunities will come and go, and it is up to the players to make tactical adjustments on the fly. During one mission early in the game, I had to destroy a series of tanks on route to a specific destination. After tracking them down I decided to set some C-4 on the road to meet them on arrival. I pathetically botched the attempt, and my opportunity came and went in an instant. I had to adjust. Luckily, I found an anti-air vehicle nearby, and proceeded to storm their base with a barrage of rockets, blowing up the tanks in a blaze of glory. It didn’t have the finesse of a C-4 ambush, but it got the job done and the game didn’t fail me for it. 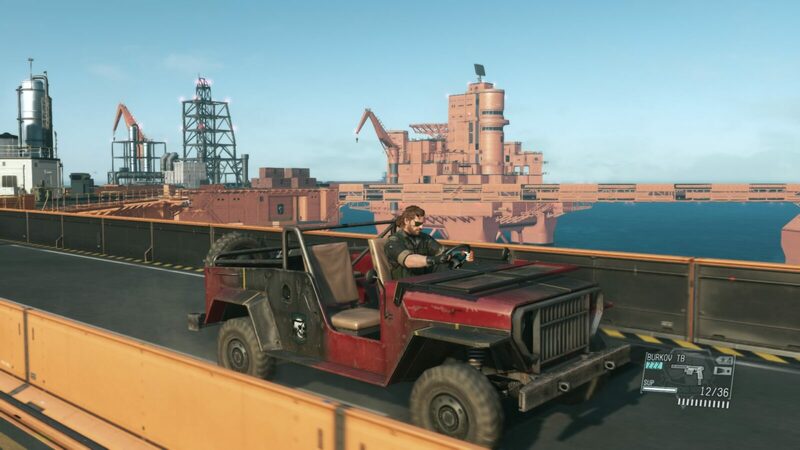 One of the driving forces to gameplay is the need to extract and accumulate assets to use for building your own military force in Mother Base, which includes enemy soldiers, vehicles, weapons and materials. Nothing you do in the game is free, even using Fulton recovery balloons for extraction cost money. To develop new weapons/equipment you need some combination of money, manpower, specialists and resource materials. Loading up equipment before deployments and requesting supply drops also requires resources. At first I expected to grow tired of the constant acquisition of assets, but after 100 hours, I’m still obsessively on the hunt for more. The reason for the continued interest is due to the fact that there is always something to build that can potentially add newer and cooler ways to tackle missions. Another place players will frequent is Mother Base. Unlike Peace Walker, Mother Base can actually be explored this time around. Increasing the size of Mother Base, although expensive, increases the amount of staff that can be housed in each department (Combat, Security, R&D, Base Development, Support, Intel, and Medical), therefore unlocking more items for development. Calling Mother Base massive is an understatement. Traveling from platform to platform on foot would be pure lunacy. To compensate, you can travel by jeep, helicopter ride, or cardboard box delivery (the latter of which is never really explained). While Mother Base is a spectacle to behold, it often felt incredibly sparse with not many interesting areas. While some key events trigger upon returning to Mother Base, most of the interesting members of the crew disappear entirely. It would have been awesome to periodically visit Ocelot or Kaz to get more insight into their character. Branching off of Mother Base is an additional base called the Forward Operating Base (FOB). The FOB is an online mechanic that lets players attempt to infiltrate other player’s FOB and steal their assets, including the staff. When your FOB is under attack, you can attempt to intervene and eliminate the attacking player. After spending so much time building your base, when anything is pirated, it becomes personal, and natural rivalries can be born. Infiltrating FOBs can be the most challenging sections of the game, and almost becomes a separate game in itself. One thing that should be noted, when connected to the online serve, it made the iDroid menus painfully slow at times, so it may not always be the best idea to stay connected online. When talking about The Phantom Pain’s story, I almost feel the need to write a separate review on that alone. Any Metal Gear fan invested in the story will be divisive for sure and possibility extremely disappointed. While MGS4 was often criticized for having too many cutscenes and little gameplay, The Phantom Pain is the exact opposite. While there are parts to the story that are incredibly engaging, most of the time it is sorely empty and incomplete. I am one of the few people who really like cutscenes, so the lack of them this time around definitely disappointed me and was a big negative. The prologue scene in the hospital, which is one of the best tutorial sections ever in gaming, was sadly never surpassed. The combination of story-gameplay integration, presentation, and atmosphere all at once never reached those same levels for the rest of the game. Big Boss’s lack of vocal communication didn’t help either. There was one scene where Big Boss is in a long jeep ride with a character who reveals some pretty important information. Instead of Big Boss, you know… responding like a real person, he sits silently for a solid 2 minutes while “Sins of Our Fathers” plays over the ride. It felt very much like the infamous “ladder” section in Snake Eater, only more awkward and out of place. It’s becoming apparent that there was a strong possibility the second chapter of MGSV was extremely rushed. It doesn’t take much to discern considering 12 of the 29 main missions in Chapter 2 were exact copies of earlier missions with no additional story elements. These repeat missions are still really fun to play for those looking for a challenge. They consist of various challenge conditions like “Total Stealth” which fails the mission upon enemy alert, or ‘Subsistence” which starts Big Boss with no equipment, requiring on-sight procurement of all gear. However, I can’t shake the feeling that these missions were added to possibly make up for any incomplete missions that didn’t make the game. There also should have been an option to add these challenge stipulations to every mission. To make matters worse, a Blu-Ray in the Collector’s Edition blatantly revels that a main mission was cut from the game that provided some critical developments. 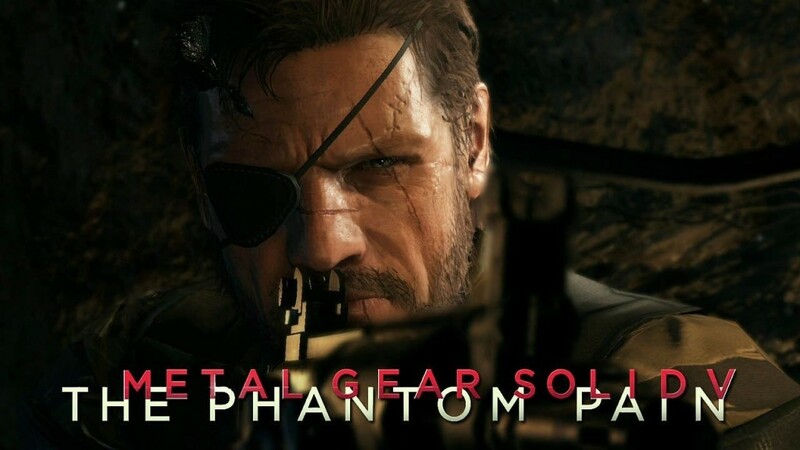 The ending to The Phantom Pain will be a topic of interest to a lot of Metal Gear fans whether you love it or hate it. The only thing I will say about it is the more I thought about it, the more I’m ok with it. Some of the best graphics the current generation has to offer thanks to the FOX Engine. Character models and materials are finely detailed. The transition from gameplay to cutscenes is remarkably seamless. While the scope of Afghanistan or Angola-Zaire is visually and technically impressive with a vast field of view, the monotony of rock, sand, and mild vegetation can get stale. The cast did a serviceable job voicing their respective characters; I even grew to like Keifer Sutherland’s performance as Big Boss. The soundtrack does an excellent job at building up from tense infiltration to chaotic firefights. The collection of 80’s pop music is a nice touch adding some flavor. Xbox and PC users can import custom music to be used in your support helicopter arrivals which can be as epic or awful as you want it to be. From purely a gameplay perspective, Metal Gear Solid V: The Phantom Pain is the greatest stealth game I have ever played, and it’s the most fun game in the series by far, making it a must buy. Story wise is where the game gets much more complicated, and I’m not talking about Kojima’s usual antics. There are a lot of things done really well in the story, but for a Metal Gear game, it felt alarmingly bare. The sad thing is this is likely the last of Metal Gear as we know it. The good news is we still have Metal Gear Online 3 attached to this game for free set to release on consoles on October 6. While still not a perfect game, the depth and versatility of gameplay cements MGSV one of the greatest stealth games ever made.